Mytee® A138 Accessory Kit for the Flood Hog™ FREE! Mytee really delivers with the 7000LX Flood Hog industrial flood extractor. It is equipped with two 3-stage vacuum motors, 12 gallon recovery tank, and a dump (50') hoses. When removing standing water from any area, the Flood Hog is a beast, pumping out water a max rate of 66 gallons per minute! Those dual vacuum motors create the largest amount of suction (182" of lift) and air movement (250 CFM) in our entire line of flood extractors. Each vacuum motor runs off a single power cord, so when running at maximum power, you'll have two 50' power cords that need to be plugged into two separate outlets. With this industrial flood extractor, you can recover water, debris, and solids. Basically it can easily recover anything and everything that could be floating around in a flooded basement, pool, or natural disaster area that is smaller that 1.5" in diameter. The Flood Hog comes with a stainless steel mesh filter, called the Lint Hog™. It is mounted on top of the roto-molded polyethylene body, making it extremely easy to clean and dump out. Everything immediately passes through this filter as it enters the machine. The Lint Hog filter extends the life of the Flood Hog by capturing the larger material, so it doesn't continue through the vacuum or pump out motors. The suction and air movement on this model are astounding! The reason being is because of the dual, high-performance Mytee exclusive Ametek hybrid motors located inside the lower tank. 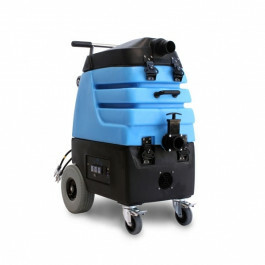 We other options available, including flood pump out wet/dry vacuums, like the IPC Eagle S6429P-AD wet/dry vacuum with pump, which can be seen in our flood extractors department. Dual, high-performance Mytee® exclusive Ametek hybrid motors offer superior suction for efficient and timely flood water removal. Bilge pump discharges a maximum of 66 GPM while recovering and dumping at the same time. Lint Hog stainless steel mesh filter captures larger debris to extend the life of the vacuum and pump out motors. Comes with a scalloped carpet flood tool, a squeegee tool, a S-bend wand, a 25' recovery hose & a 50’ pump-out hose. 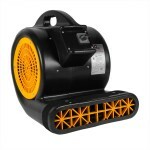 This is a review for the Mytee® 7000LX Flood Hog™ Industrial Flood Extractor w/ Wand, Tools & Hoses.